The premiere of a short work for string quartet and piano that we have commissioned from Thomas Hewitt Jones, which will be performed by the composer and members of renowned chamber music group Ensemble Perpetuo. 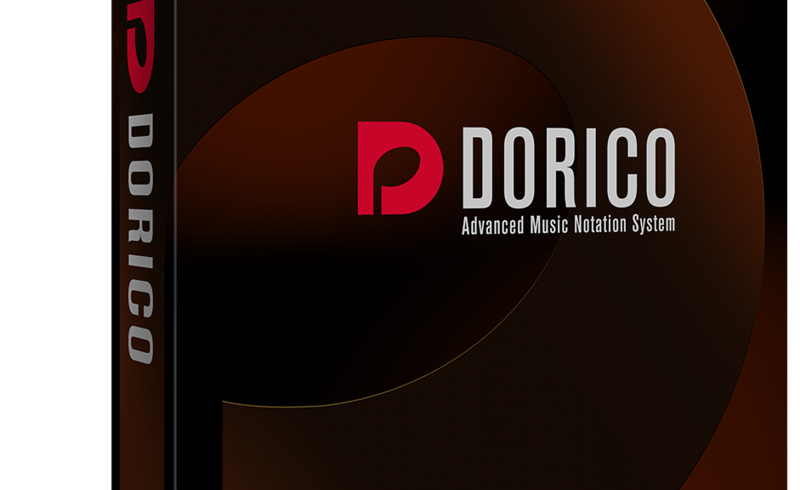 A talk with Thomas how he has found using Dorico to put it together. The event will be streamed live on Steinbergs Facebook and YouTube pages as well as being available to watch after the event as well. Abletons ever popular Live sequencer and performance tool gets it’s 9.7 release free update this morning to registered users. The main new addition is an update to Simpler, adding new slicing modes (Beat, Region, Manual) to the instrument. 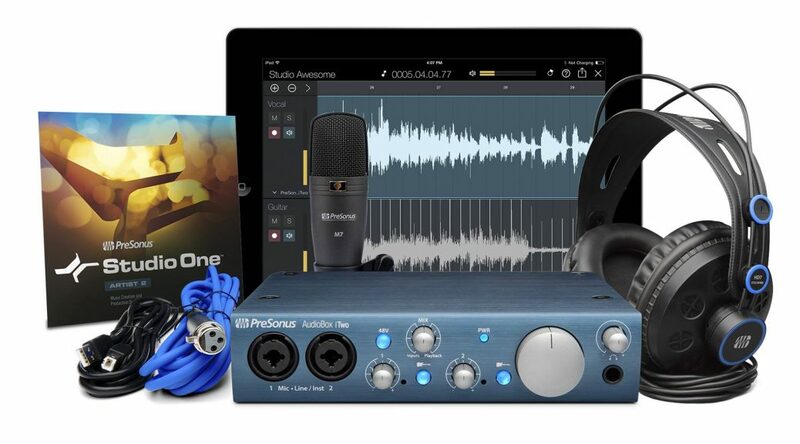 Also noteworthy is the improvements that have been made when syncing using Ableton link as well as a whole slew of improvements to integration of both generations of the Push controller. 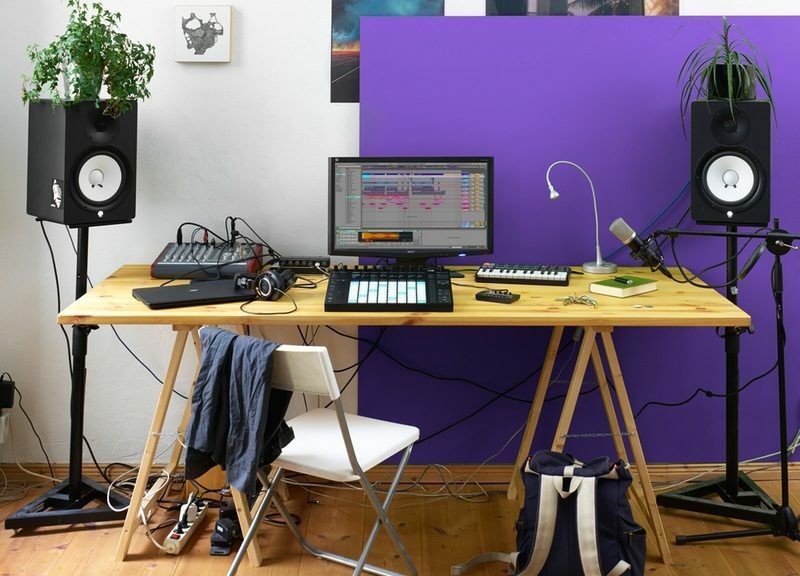 Full Ableton Live 9.7 Release Notes. The performance above shows off some of these new features, with a guided walk through of how they were applied in the performance below. Live would crash when canceling a freeze action, if this was performed on a previously frozen and flattened Clip. Live would crash at startup if the preferences were corrupted. Fixed a crash that could occur when using the ‘x2’, ‘:2’, or “Warp As” controls in Simpler, if there was no sample present. Fixed a crash which might occur when creating a time selection on Group tracks in Arrangement View. Live would crash when exporting a MIDI file on Windows. Live would crash when converting a Simpler to a Drum Rack if certain Control Surfaces were enabled. When resizing the left edge of a frozen Clip to the left, audio would still begin playback from the Clip’s former start position. When converting Simpler to Sampler, the Sample Start marker would be visually misplaced. The signal of send for grouped tracks would be doubled (+6dB), if the track’s output was routed to Master and the respective Return track ‘Pre/Post’ toggle was set to Pre. When dragging unwarped Clips over the section of a song where the tempo was automated from a low value to a higher one, Clips stored in the clipboard would appear after the dragged Clip. When running Live as a ReWire slave on a Mac, it would consume 100% of the CPU load after launching Live as a slave for the second time. Converting an Audio Clip from Looper to MIDI would cause the Clip to assume a grey color. When resizing a Clip past its limit, the dragged edge would behave erratically when it was not on a grid position or when the grid was disabled with a modifier. When resizing Live horizontally, the positioning of Max Device windows would not adjust correctly. When exporting audio from Looper, the resulting Clips would inherit the wrong color. Live might run into issues when writing files to disk on Windows, if the file path contained non standard unicode characters. Using 3 APC 40 units in ‘Combination Mode’ would cause LEDs on the APCs to flash erratically. Some audio clips from the Core Library would open in the wrong tempo. The new Simpler Slicing modes are available on Push 1 and 2. It is now possible to set the color for Tracks, Clips and Drum Rack pads from Push 2. It is now possible to adjust the Input and Output routing and the Monitoring state from Push 2. This is accessible via Track Mix Mode, where a dedicated ‘Input & Output’ button is added. Introduced a third layout for Drum Racks and Simpler’s Slicing mode, which enables triggering the currently selected pad / Slice with 16 pre-defined velocities. This is a Push 2 only feature. When transport is active, a progress bar on the Push 2 display indicates the playback phase for each of the currently playing Clips. Added a visual feedback for the count-in on the Push 2 display. Session Record and Arrangement Record are now independent from each other. By default, Fixed Length now respects the Launch Quantization setting. Its previous behavior can be toggled on via the ‘Phrase Sync’ option in the Fixed Length menu. This works with Push 1 and 2. Different sensitivities are in place for the Push 2 pad matrix, depending on the function of the pads in the current layout. This is specifically aimed at avoiding inadvertently changing the loop selector while playing Drum Rack pads. It is now possible to delete the currently selected Clip in Arrangement via Push. It is now possible to duplicate Clips in Arrangement from Push. When the focus is set to Arrangement View, ‘New’ is not available on Push anymore. Improved the matching between pad and display colors on Push 2. Improved the matching between Live and Push 2 colors. On Push 2, the color white in Live is translated as yellow, since white is used to indicate selection. The intensity of the LEDs on in the lower display buttons has been dimmed for Push 2, to create more contrast against the currently selected track. Improved the performance when moving the Session Ring horizontally with Push. Minor visual improvement for the ‘Cancel’ button in the ‘Convert’ menu or when entering the browser via ‘Add Track’. Additionally, the ‘Close’ button has been removed from the ‘Scales’ menu. Push 2 only. On Push 2 display, Simpler’s playhead and loop markers are now the same height as the loop indicator. Flag markers for Simpler and Audio Clips are now properly outlined on the Push 2 display. 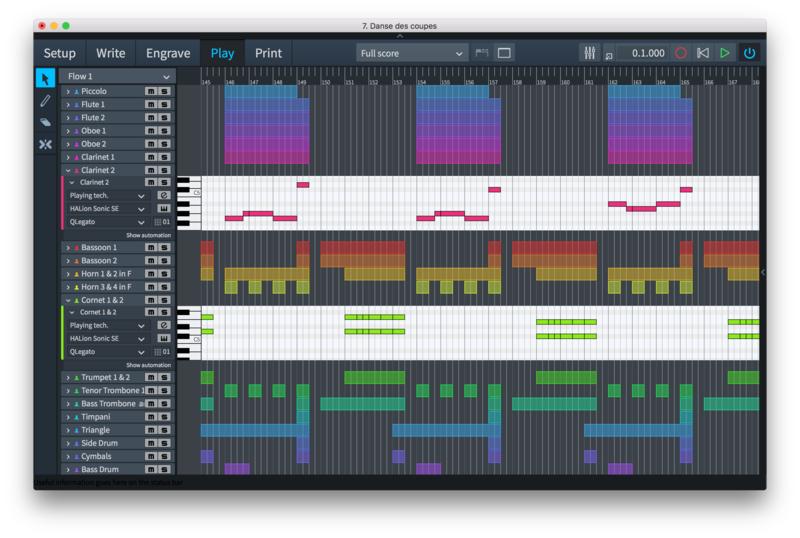 The fade-in and fade-out visuals on Simpler are now represented differently from Loops on Push 2. 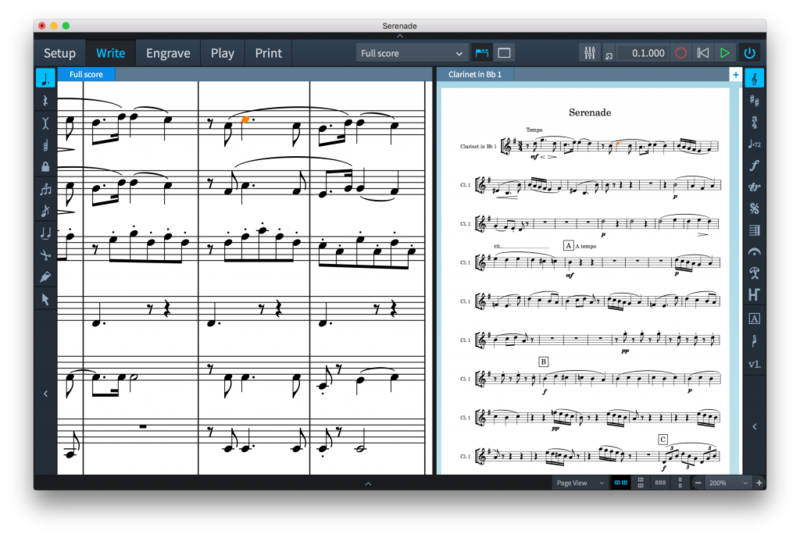 Page Left/Right buttons are now available in the Step Sequencer for Simpler in Slice mode. The Push 2 firmware has been updated to 1.0.60. This version allows to automatically adjusts the LED white balance for units produced in the factory from November 2015. Also, this delivers a new pad algorithm that improves the sensitivity of Push pads when playing with wrist pressure. It also contains a fix for cases where Push 2 buttons might double-trigger, and improves the stability of the MIDI data sent from the Push encoders. When recording multiple clips at the same time, triggering one clip would cause also the other ones to stop recording. Live would crash when enabling the Push 2 Control Surface script on some systems. As a result of the fix, some display functions of Push 2 still won’t work. Improved the error logging to find out more about this issue. The Push 2 display process would not start on Windows, if non-standard unicode characters were contained in the user profile name. When muting or unmuting a track while in Mix Mode with Push 2, the state color of the track’s meters would only update if its peak level changed. Pressing Record on Push would stop a Clip if the Clip Launch Mode was set to “Toggle”. When changing Layout, the Step Sequencer page would reset. The step sequencers might malfunction when odd time signatures were in use. When step-sequencing a Clip in Arrangement View, the playhead would not be shown on Push 2. When a Drum Rack or Instrument Rack was frozen, it was still possible to edit the Chain’s mix parameters. If the selected Clip was in Arrangement View, Push 2 would not display its content in Clip View. The Clip length would not be displayed in Clip View, when performing a recording with Fixed Length.